The Women’s Running Coaches Collective exists to support, unite, inform, inspire and empower (elevate) women coaches. Below, we have compiled a list of all the newsletters that they have produced, including interviews with some AMAZING women in coaching! You can “like” them on Facebook or Join their Mailing List! Also, please take their 2-minute Survey. Melissa Hill talks with Adrienne Langelier, Sport Psychology Consultant, about competitive anxiety, fear of failure or success, overly involved parents, goal setting and much more! Probably no female distance runner in U.S. history has done more to shine a light on our sport than Joan Benoit Samuelson. 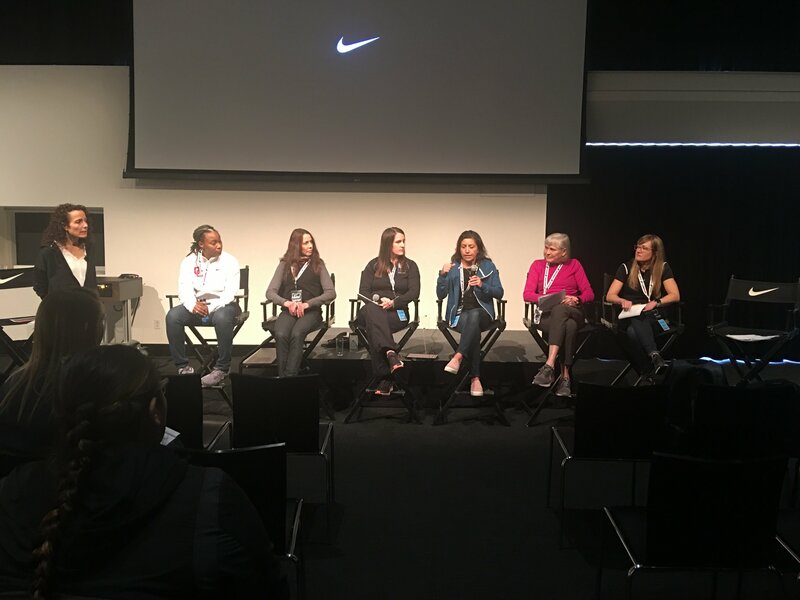 The WOMEN’S RUNNING COACHES COLLECTIVE proudly presented “Women Coaches Talk Track and Field” – a panel of women coaches at the Nike NW HS Track and Field Clinic held at the Nike World Headquarters on January 12th, 2019. This incredible panel of women coaches came from all areas of track and field, and running. They included a former World Record holder, a NCAA Hepthalon Champion, one of the foremost hurdle coaches in the state of Oregon, a coaching veteran of 45 years, a marathon coaching specialist, a young and successful HS XC Coach, and a creator of Runner2Runner. November 22, 2018: Happy Thanksgiving and What’s Next! “Leigh Daniel Cordes is the Head Cross Country, and Track and Field Coach at Lubbock Christian University. She is also the mom of three children under the age of 6! “ The WRCC is honored to bring to you an interview with Olympic Distance Runner Amy Yoder Begley about her journey from runner to coach. Along with her coaching partner and husband, Andrew Begley, Amy has gracefully made the transition from being coached to coaching. Her resume is stunning–a Midwest girl holding numerous Indiana HS records and titles, an All-American 15 times, and a two time NCAA Champion at University of Arkansas. In 2008 she became an Olympic Team qualifier with an inspired and courageous finish in the 10,000 meter race in Eugene, Oregon. She struggled and overcame a diagnosis of celiac disease. August 23, 2018: New Co-Editor and Schedule! The Women’s Running Coaches Collective is proud to announce the addition of Laura Caldwell as Co-Editor of our WRCC Newsletter. August 16, 2018: The Most Important Coaching Tool – Planning your Season! “One of the most important tools you have as a coach is the pre-planning of your season. This tool will give you a road map to follow to achieve your training and racing goals for your XC season. August 9, 2018: How to Start or Build a Cross Country Team and other Crazy Ideas! August 2, 2018: Cross Country Strong! “As running coaches we are often asked to work with young athletes who are involved in another sport, and are using running as a fitness tool. These athletes see themselves as a specialist in their first sport and are focused on success from a very young age. They and their parents imagine they will be varsity in high school, will get a scholarship to college, and will eventually become a professional athlete with a high paying contract. “Nikki Rafie is a 2-time US Olympic Marathon Trials Qualifier (1996 and 2000), and the winner of the 1995 Portland Marathon. 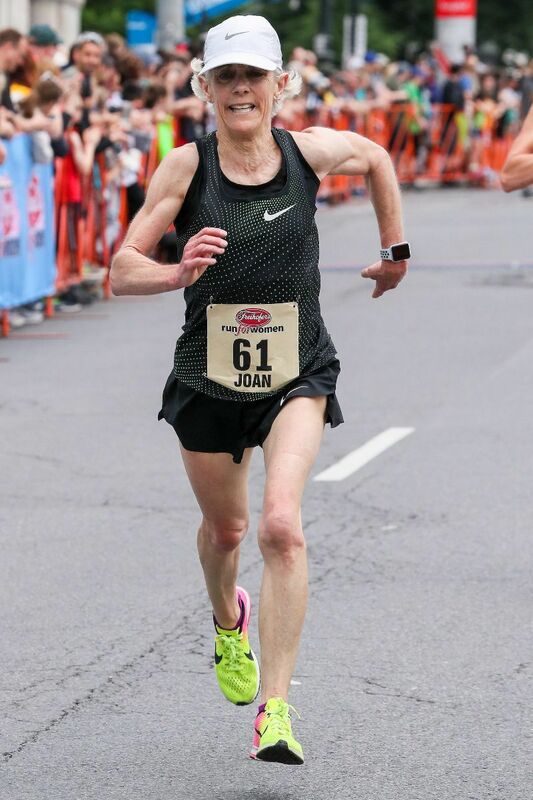 In her 30 years of running, she has run 20 sub three-hour marathons, and continues to be a competitive master’s athlete. She still loves a good race, and remains active in the local running community. 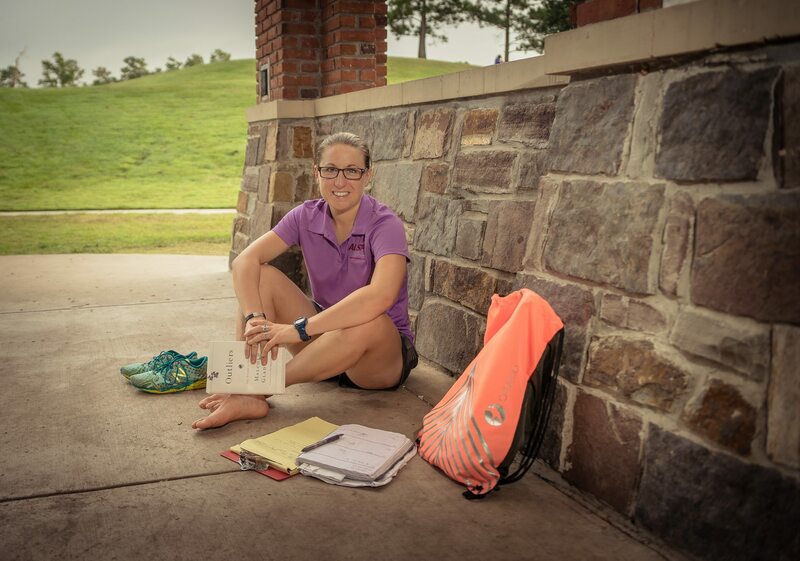 “Nikki started coaching in 2004, working with adult distance runners of all levels. Her passion for helping women develop and succeed has made hundreds of women achieve their goals. June 25, 2018: Women’s Running Collective Needs YOU! View the Complete WRCC Archives. “If you’ve got a #coaching position, grow where you’re planted,” offered Mike. “Don’t always be looking to go somewhere else. Opportunities will come up. Most people are looking for opportunities before they’ve had success.” @asics_gtc_elite #TrackCoach #ProRunning LINK IN BIO! Chris Catton, coach of HS phenom Craig Engels (@craigathor) talks getting high school kids to the next level, starting a personal #coaching service, and the state of #prorunning in the USA. #TrackCoach #TrackNation 🏃🏼‍♂️ . . Link in bio! Plus follow @runccg for great pics and training tips. Eugene Galloway got his start as an #NCAAD1 Regional Qualifier in the #TripleJump. Now, he's an Assistant TF/XC Coach at @roanokexctf ! 🏆 Coach Galloway talks joy, full-time #coaching, and the importance of #prayer along the journey! 🏃🏾‍♂️link in bio!